General Electric’s transportation business is setting up a digital solutions business in Chicago, where it intends to hire 100 workers to accelerate the company's industrial technology strategy, says Jamie Miller, president and CEO of GE Transportation. Miller is applying the IT leadership and operations skills she honed in two years as GE's global CIO as the leader of a $6 billion business that sells heavy machines and services to railroad, mining and other industries. Jamie Miller, president and CEO of GE Transportation and former global CIO at GE. "The demand for the digital skill set is as high as it's ever been, and I think as we really look to grow talent to run any element of the business over the next few decades., Digital is going to be a critical asset and skillset for anybody.," Miller told CIO.com yesterday. She says GE must hire more employees with “digital DNA” because customers are increasingly looking to interact with GE through applications, data and mobile devices. The new digital solutions business continues a trend GE CEO Jeff Immelt kicked off last September, when in a joint announcement he promoted Miller and unveiled the creation of GE Digital in San Ramon, Calif. The unit, which Immelt expects to be a top 10 software business by 2020, marries analytics, software development and Internet of Things, all crucial ingredients for predicting and optimizing performance of the industrial machines the company builds and supports. 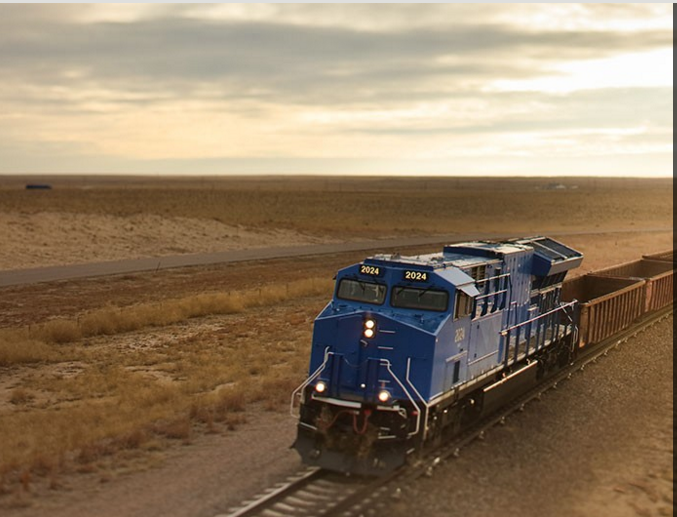 Co-located in GE Transportation's headquarters, the new digital unit is seeking software engineers, software developers, data scientists, product analysts and project managers to facilitate the creation of new products and services for railway, mining and marine industries, which increasingly equip their heavy machines with sensors to optimize performance. Miller says investments seek to tap Chicago’s deep talent depth, supported by several global businesses and major Illinois universities. “The demand for digital productivity has never been higher, which is why we pulled together all of our digital product into our digital solutions business and why we’re doubling down and investing for growth in that space,” Miller says. Miller says she expects the new hub to generate 30 percent of top-line growth in 2016. GE Transportation Chief Digital Officer Seth Bodna. GE Transportation Chief Digital Officer Seth Bodnar is running the new digital hub, which will develop everything from on-board computers for locomotives to the applications and sensors that help optimize railway operations. For example, more than 200 onboard sensors process over a billion instructions per second in GE’s Tier 4 locomotive. More than 200 onboard sensors process over a billion instructions per second in GE’s Tier 4 locomotive. The unit's Trip Optimizer application is an automated cruise control system that drives a train more efficiently, saving on average 10 percent on fuel. Its Movement Planner application is an air traffic control system for a railroad, directing the traversal of trains around the network. Bodnar says his team will build out a more complete suite of additional applications to optimize the performance of its customers' machines. GE Transportation will integrate GE Digital's Predix software, a predictive diagnostics platform that communicates with sensors, to remotely gauge anything from fuel consumption to wear and tear on industrial machines. "Predix as a software platforms forms the core of the technology stack that we will build our operations optimization applications upon," Bodnar says. Miller says her team will incorporate Predix technology from GE Digital. "We pull them in, we leverage Predix, we leverage a lot of their talent, but we also build out our own capability in software development, data sciences ... and we have to bring the real business domain, the transport, the rail, the actual equipment domain to the equation to drive the right outcomes for the customer," Miller says. "So it's a bit of marriage." Miller's promotion is largely due to a digital business acumen she honed in her two years as global CIO, where she closed several data centers and migrated to cloud applications and infrastructure. CIOs who learn the logistics of finance, operations, human resources, sales and pretty much all aspects of the business put themselves in prime position to lead companies. Salesforce.com CEO Marc Benioff said recently that CIOs who steer their companies through digital transformations are on the path to become CEOs. Or as Miller put it, "When you're running a business, you've got to have deep market insight, you've got to be deep with customers, you've got to know the product and you've got to be able to think about the services element post-sale."